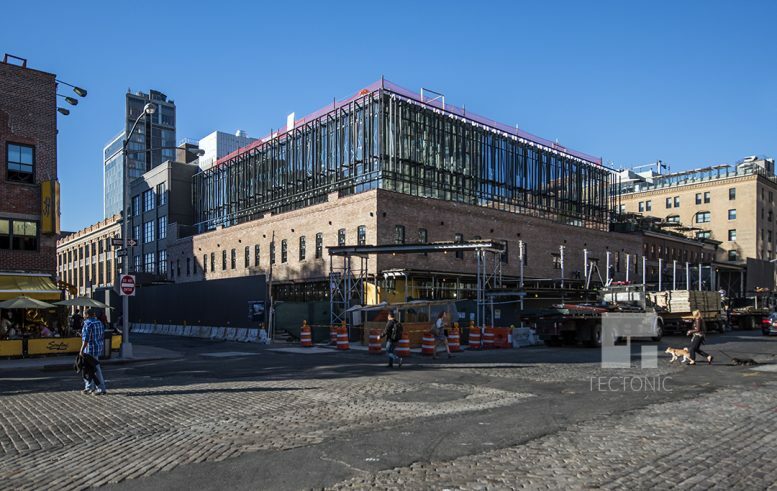 A warehouse that’s becoming a Restoration Hardware in the Meatpacking District has been hit by two major controversies in the last year, but construction continues to chug forward at 9-19 Ninth Avenue, on the corner of Little West 12th Street. Tectonic brings us an update. First a construction worker was killed there in April of last year, crushed to death in an unsafe excavation pit. The general contractor, Harco Construction, was convicted of manslaughter, criminally negligent homicide, and reckless endangerment in New York State Supreme Court in June. Judge A. Kirke Bartley, Jr. ordered Harco to pay for worker safety public service ads as part of the sentence. But the company refused, according to DNAinfo, because it didn’t want to admit any wrongdoing in the accident, which it blamed on a subcontractor. Then the Department of Buildings, in a letter first spotted by DNAinfo, threatened to stop construction because zoning doesn’t allow a retail store larger than 10,000 square feet here. The finished Restoration Hardware will span five stories and 58,659 square feet, doubling the size of the existing warehouse. However, the developers fought the zoning challenge and won approval from the DOB in August. They successfully argued that the store qualifies as an interior design business—which is allowed under the industrial zoning—rather than a large retail store, which the city wouldn’t allow. 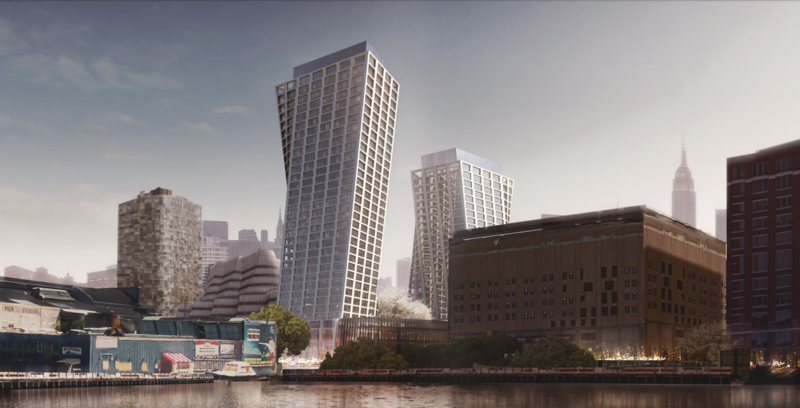 Aurora Capital Associates is developing the project, and BKSK Architects designed it. 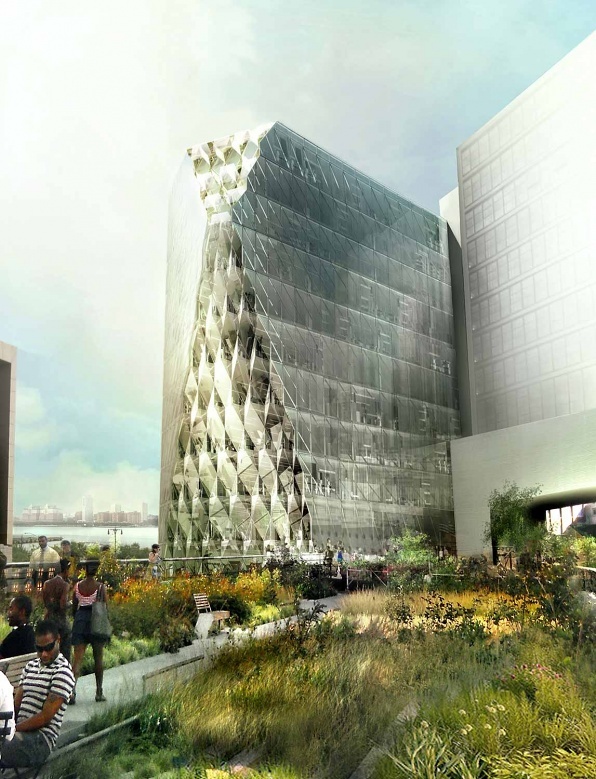 The site sits inside the Gansevoort Market Historic District, and the glassy addition required a greenlight from the Landmarks Preservation Commission before construction could start. 2 Comments on "Troubled Restoration Hardware Site Gets Glassy at 9-19 Ninth Avenue in Meatpacking"
Construction in connecting with the LPC, there’s nothing worker can do if greenlight is not show. How horrible these are EVIL people they should be FORCED to admit their GUILT because they are GUILTY AS SIN.